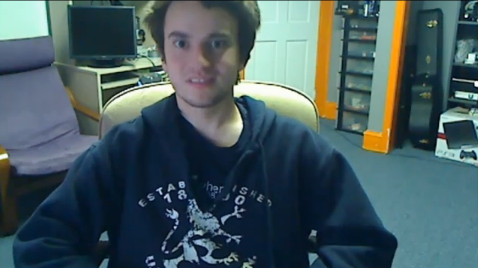 George Hotz is a coding king to some. Having exploited the iPhone multiple times, he has moved on to attempting to jailbreak the Playstation. In January of 2011, he has succeeded at doing this and was awarded, by Sony, a big fat lawsuit. Overnight, the video of him rapping about being sued gained 10000 hits and 2000 likes. Traffic was fuelled by conversation via Twitter in regards to this video. The song, entitled “The Light It Up Contest,” will most likely not help George out in court, but has gained him further respect in the community. As most know, he is known for his ego, and therefore is the subject to mocking and parody but this act of standing up to a large corporation will definitely remind the community, George Hotz is not to be messed with. So, in honour of Geohot’s bravery, please enjoy this video like most of us already have. hahaha i agree, he is such a retard.